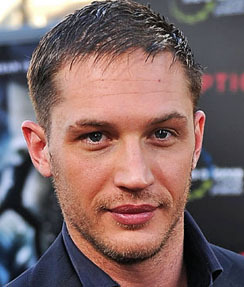 English actor Edward Thomas Hardy was born in Hammersmith, London, United Kingdom (September 15, 1977). Tom’s mother is a painter and his father is a writer. His first role was in 2001 (Band Of Brothers). In 2009 Hardy won British Independent Film Award for Best Actor for “Bronson”. 64th British Academy Film Awards in 2011, Tom Hardy won Rising Star Award. In 2014 he gained Los Angeles Film Critics Association Award for Best Actor in the movie “Locke”. In 2015 British Independent Film Award for Best Actor and in 2016 London Film Critics’ Circle Award for Actor of the Year for the movie “Legend”. Since 2009 dated actress Charlotte Riley, they married in 2014, in 2015 their son was born.